OFFSET is Dublin's design festival. We're doing the OFFSET x Telephones after-party again. This time we go large, opening all rooms, putting on loads more acts and throwing the doors open to all. March 2019. Summer only around the corner. St. Patrick's Day bumper edition almost here too. But for now, in the words of Pinky & the Brain, we're gonna do the same thing we do every month; try to take over Yamamori Tengu on Great Strand Street. Papa Lou & JOMA on the decks. Conor on the door. Expect disco, soul, rnb, afro, latin, house music, freaky jams. Anybody who's had the vaguest interest in dancing or eating in Dublin in the past two decades will know Billy Scurry. Equally at home playing techno, hip-hop or cooking meatballs, the man has been a huge inspiration to us and many others and it's high time we had him into Telephones. Last month was ace! We went back to out roots, local DJs spinning their favourite jams in a dark club with decent sound..... and to finish off the formula a big crowd turned up and made a killer vibe on the dancefloor. Yahoo! THANKS! So it's the same plan this time round. ALSO ALSO we have one of our all-time favourite DJs (Irish, or otherwise) Eddie aka TR One driving up from Carlow to dazzle us with his amazing selection of records and super-human mixing skills. Very hyped for this lads, there's never been a dull TR-One gig. It's just not possible. After the mega-phones last month with Hunee, Antal & Project Pablo we are bringing at all back to basics with the late-nite Telephones crew joined by the guys from Woweembeem. Booking 'famous international acts' is generally the exception to the rule at Telephones. However, there are certain DJs, collectives, and music-nuts scattered across the globe who operate on a similar wave-length; through the music they play, the record shops they run, and simply the lives they live – unerringly dedicated to their craft – that they not only fit the Telephones bill, but are something of Telephones heroes, or even idols (blush emoji!). Hunee & Antal are two such examples. With soaring profiles, they have spent the last year headlining large clubs or festival main stages so, alongside our event partners Red Bull Music Academy, we are super happy to be able to present them at Dublin's favorite intimate dance club - our home - Yamamori Tengu, this October 14th. Through 20 years in business, Antal Heitlager and his Amsterdam based Rush Hour record shop & label has created trends (in the best possible way), reissued countless long-lost musical gems on vinyl, and ultimately helped define the current landscape of modern club culture that many DJs subscribe to today. His influence cannot be overestimated. Hunee has, and continues to have, just as much of an influence on today's club scene. He's been enriching the lives of club & festival goers with astonishing consistency and frequency for 10+ years, with the last 2 seeing him take it up a notch by headlining every club & festival worth it's salt – most notably this year's top-dog-of-them-all Dekmantel Festival – with a closing set alongside his long time friend and DJ partner Antal. These guys are as good as it gets when it comes to eclectic, versatile DJ sets taking in the history of dance music, seamlessly criss-crossing between disco, afro, soul, jazz, house, techno et al for days. In Room 2, Pear & Flipside host Montreal's Project Pablo, aka Patrick Holland, with support from Irish RBMA 2016 alumni Dreamcycles. Room 3 will be hosted by Woweembeem DJs with a live performance from samba band Morro 16. 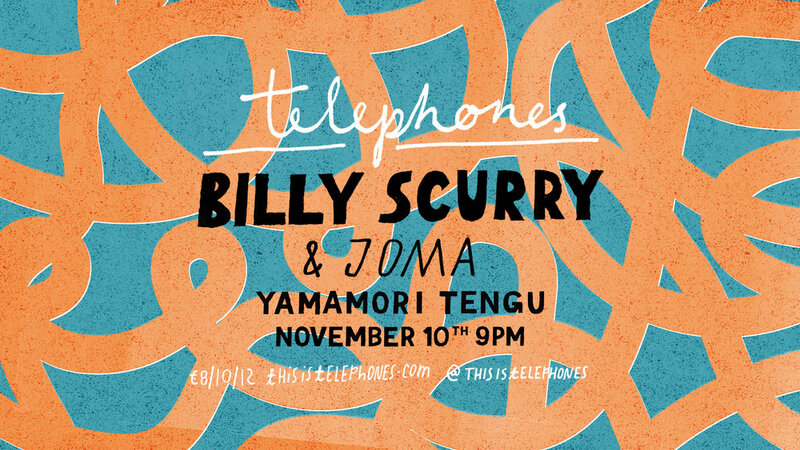 Joining us this month at Telephones in Yamamori Tengu is a guest we have wanted to ask play for a long while. He is a DJs DJ, a selector's selector...he is Red Greg. A deep digging DJ with impeccable taste, responsible for some of our fave mixes and compilations of recent years. Get to know him a bit better below or just trust us and come down! The last schoolyard party of our 2017 summer series! For the unacquainted; we take over a schoolyard in Dublin 8 and install a big ol' soundsystem, DJs play all day, the sun shines, there's food, it's BYOB (ie affordable), your pals are there, our pals are there, everyone is sound, pets are allowed, kids are allowed until maybe 7ish, it's a party for people who like listening to music and dancing to it. Actually it's 2 parties. When things come to an end at 9pm we head down to Tengu to dance some more. Musically you can expect a broad range of stuff, from soul / funk / disco / afro / brazil / reggae / hip hop / house music et al. We're music obsessives and collecting music to play at parties is what we do, all day every day. Nasty Women Dublin — Nasty Women Dublin is a fundraising exhibition that celebrates the strength and diversity of art by female artists in Ireland, and which acts to promote the cause of women's rights, in particular reproductive rights and The Campaign to Repeal the 8th Amendment. All works are kindly donated by our artists and will be for sale for <€100 with proceeds going to Coalition to Repeal the Eighth Amendment & Artists' Campaign to Repeal the Eighth Amendment. Kraft — Kraft is a bi-monthly live electronic music showcase programmed by Ickis Mirolo which takes place as part of Telephones, upstairs in Yamamori Tengu. The day time party is BYOB, the night time party has a full bar. We shun the sun (or lack thereof...) as we go for a night time only soiree this month across 2 rooms at Tengu. June's party sees the addition of Rob Mirolo's new electronic night Kraft which we hope to host every 2 months to showcase up and coming live electronic acts in this talented city of ours. POLYGLOVE are a Dublin based electronic duo who use a combination of purely hardware equipment and post manipulation to cultivate a form of lo-fi dreamy techno. With live performances combining their hardware synths with bespoke psychedelic visuals. On the night they will be launching their 3rd EP ‘On Tick’ via de/konstruk/cionez. Limited edition cassettes will be available. This is a night time party ONLY. Early bird tickets from €5. Then first of the Summer Telephones double headers. We dance all day in the old school yard at Pallas Studios then we head down to our sweet Japanese joint Yamamori Tengu and keep going. Don't forget: You need two separate tickets for day party and night party. Once a month we assemble for roll call at Telephones, then lessons begin. Our Paddies Day in our favourite old playground turned dancefloor for our first outdoor party of 2017 followed by dancing until the wee hours in Yamamori Tengu. Ticket early birds start at €5. The main men behind one of the best - if not the best - festival in Europe right now are joining us for one glorious night at Telephones. Thomas Martojo and Casper Tielrooij are responsible for the annual Dekmantel festival in Amsterdam, the Selectors festival in Croatia, epic day party Lente Kabinet, their record label and much more. Their booking policy, party philosophy and event production have set the bar high. We're big fans of what they do and how they do it and can't wait to have them play at the 'Phones. It’s been 60 days and 60 nights since our last Telephones and we are back from the hills, clear and focussed, ready for our first Telephones of 2017. Tickets €5/€10 online, €12 on the door. "Okay, this is extremely important. Will you please tell Santa that instead of presents this year, I just want my family back?" 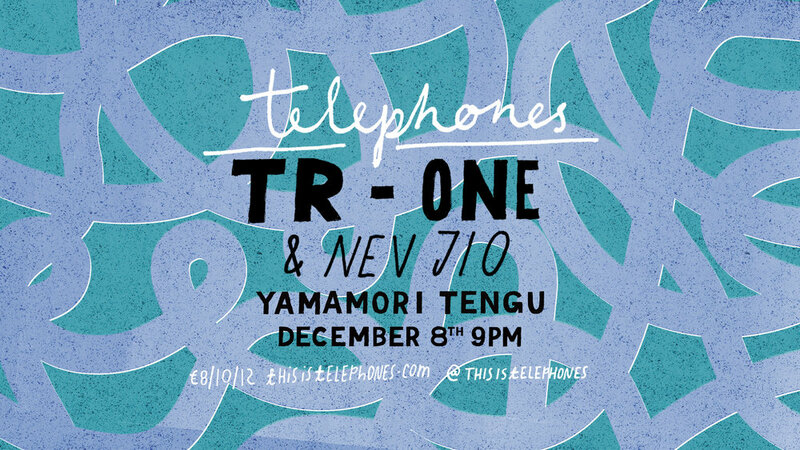 Join the Telephones family in Yamamori Tengu this December 10th to celebrate life, reflect on 2016 and discuss the merits of mixing gin with tonic water. November's episode of The Telephones Show. Last month was the feared week after Electric Picnic, usually the graveyard shift for anybody running an event but you guys didnt let us down. It was busy from doors open with dancers front and centre all night. After a wild ride w/ Mr Mendel last month, we cannot wait to return to Yamamori Tengu this September 10th. It's heartwarming to see returning regulars and new faces each month. It takes two to tango (in Tengu) and a party ain't nothin' without you guys, so thank you – really! Disco, soul, afrobeat, RnB, 80s Pop, House, Italo & more. 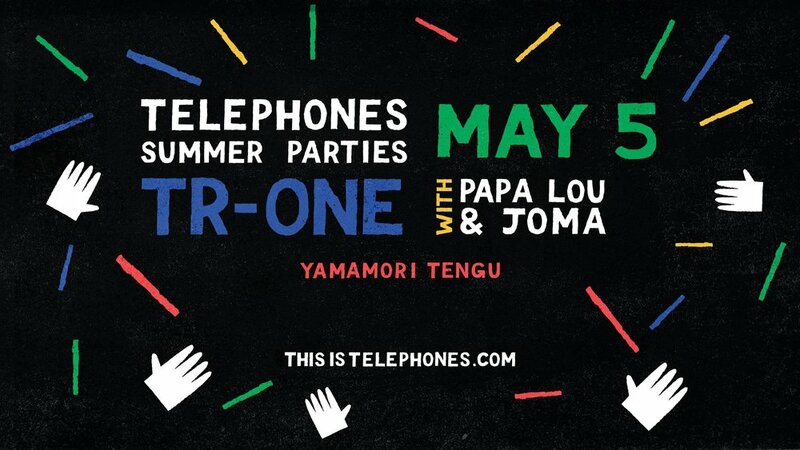 The fourth and final in our summer series of Telephones day and night parties. Last chance to dance before the weather closes in. Make.It.Count. The third of our Summer double header day and night parties..
We start with a day time party from 2 - 9pm at Pallas Studios, then we hit the club over in Yamamori Tengu from 10pm - 3am. Our summer series continues with special guest ALEXANDER NUT at Yamamori Tengu. We've got the inimitable selector and Eglo Recs label-boss Alexander Nut over from London to headline Tengu. In our eyes neither Alex nor Eglo can do any wrong, with the likes of Floating Points & Fatima flying the label's flag globally. More recently Henry Wu & K15's jazz-funk / deep house bombs released by Eglo take it to the next dimension. Disco, soul, afrobeat, RnB, '80s Pop, House, Italo & more. NOTE: We've had to cancel our day-time party today at Pallas Studios but it's full steam ahead for night-time! Delighted to welcome James Keating and Keith Fennell of We Three Kings down to play some slow jams in the sunshine. Papa Lou & John Mahon will be music selectors for the rest of the day and night. This month we're delighted to have The Record Spot - Dublin host room 2 upstairs with a vinyl only affair, all night long. The emphasis being on track selection, as opposed to the much hyped dark art of "mixing". Their lineup features We Three Kings alongside Wicklow natives Johnny Carroll & Tim Timmahof Manma Saor & Sim Simma fame. Telephones residents Papa Lou & Liam Maher hold it down in the main room. €5 advance, €10 on the door! Join us this Easter Sunday to close out the Galway Food Festival at Electric Garden & Theatre's Biteclub - Streetfood Discotheque. Papa Lou & Joma will take you on a magic carpet ride through disco, soul, afrobeat, RnB, 80s Pop, House, Italo & more. We love Galway, we love food and we love Biteclub. That's a whole lotta love and we are very excited indeed! We're back in our spiritual home this Paddies Day for our first outdoor party of the year. The party will run 2pm - 9pm on the old school yard at Pallas Studios. This is a Bring Your Own drink event. We continue with our new Telephones monthly night at Yamamori Tengu.